With the wave of resolutions upon us, and the dawn of new days inspiring us, I think it's perfect to share an opportunity to be the bigger change we can all be. In simple ways such as our daily commitment to switch to do what is good contributes to the bigger picture of our beautiful world. Because I blog about beauty, figured I should take this New Year opportunity to talk about Human Heart Nature and their Love Minerals line. Quickly, Human Heart Nature is a home-grown brand of natural and organic personal care products ranging from baby care to color cosmetics. Their color cosmetics range of which is coined with a very appropriate name: Love Minerals. Love Minerals is a mineral make-up range. They have all sorts of wonderful treats such as Mineral Pressed Powders, Eyeshadows, Blushes, Lipsticks and Gloss. As I go, I'll be sharing tidbits on why Love Minerals is a great range to choose from--not just because of the products it includes but because of the advocacy it inspires us all. I mean, by becoming my typical beauty junkie I get to be a hero, really. Don't believe me? Read on. Oh, before we get going, as you read this post, try to really think about love. Who do you love? Do you love your body? Do you love this (Philippines) country? Do you love your people (Filipinos)? Do you love your home (Earth)? Do you love children? Because if you do, Love Minerals products gives us reasons to enjoy all that lovin'! OK, let's begin... the new review here is on Love Minerals Enchanted Evening; but I'ld be using old posts as example to solidify the things I'm saying. I swear by their Mineral Powder. It's very easy to use and would you believe I have downed countless compacts! I use it every day, for touch-ups especially, and the best thing about it other than the way it leaves my skin feeling baby soft is the part where it doesn't, yes never, broke me out! I've been using Love Minerals Powder since 2010!! Click the link to know about my first few experience with Love Minerals--but note that's an oooold post so please don't compare much hehe. I can't recall why but I'm amazed that I'm Sand Dollar before LOL. For your information, I'm an Island Shell girl. I love it because it blends with my skin tone so perfectly it's like I'm not wearing make-up at all. The powders have four shades: Island Shell, Sand Dollar, Boracay Bronze and Orient Pearl. Now, I can't use Sand Dollar and Orient Pearl because they don't fit my tone well; but I can go from Island Shell to Boracay Bronze! Amazing huh, well that's because Boracay Bronze can be used as a bronzer! I'm so glad to have discovered it one make-up frenzied afternoon. Check it here. I have swatched three of the blushes but they recently launched another shade (yay for an improving collection) so let me just work on swatching the complete collection of Love Minerals Blush: Tropical Rose, Petal Bloom, Pink Quartz and Rosy Cheeks. My take on the blushes, well the best for me is Petal Bloom. It's easy-going, very kind and has a lot of give when it comes to brightening the face. Now, to add more "give", all their Love Minerals products use Passion Fruit Seed Oil. That's great news for three reasons (1) it smells great. Have you ever tried a blush or a pressed powder that has a sweet subtle scent? If not, you're missing out; (2) Passion Fruit Seed Oil is sourced from GK Catigan Davao, a community of Passion Fruit farmers that is also Human Nature-Gawad Kalinga beneficiary through CommPassion campaign; (3) Passion Fruit amps up the ski-nourishing properties of Love Minerals' already safe and non-comodegenic make-up. Since I've already mentioned CommPassion, let me share that Human Heart Nature's CommPassion campaign ensures that each pretty pucker goes a long way. CommPassion I assume plays with the word compassion, community and passion for Passion Fruit. The equation is derived from a funding for the improvement of GK Catigan Davao facility to be world-class! 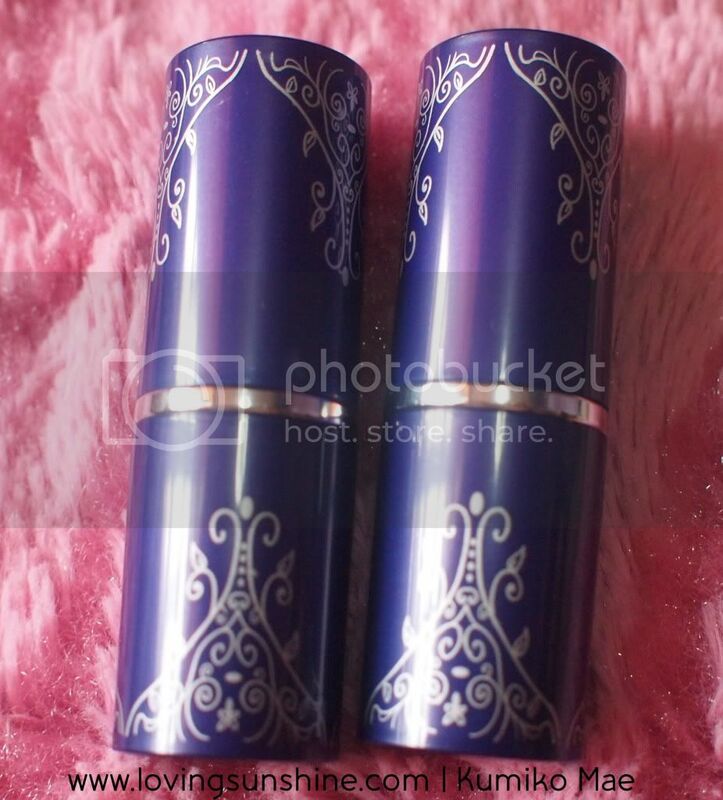 To know more about the lipstick and CommPassion, please read my review here. Expect swatches. :) You might also want to learn about the demand for the lipsticks here. 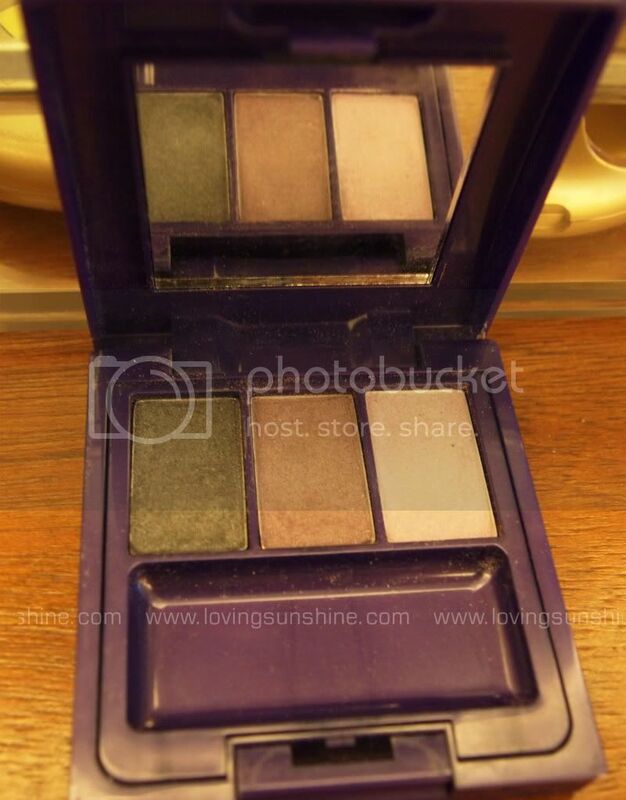 Now comes what inspired this post, my review of Human Heart Nature's Enchanted Evening Palette. Hope everyone is having an enchanting 2012 so far. Let me share with you Human Heart Nature's Enchanted Evening Palette, the pros and the cons, and of course a look suggestion--you know, so you're not limited by the moon in terms of using these shades. 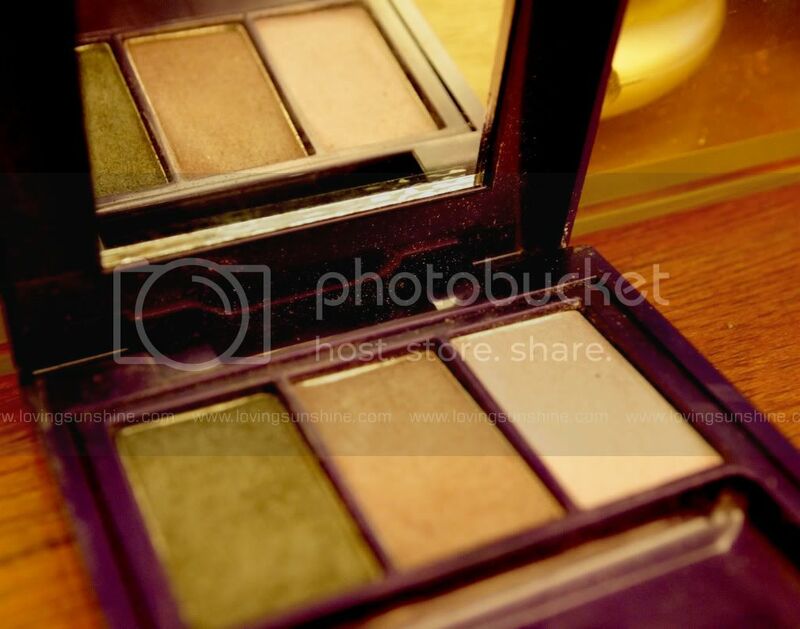 HN says: Most "mineral" make-up still contain toxic chemical preservatives, dyes or mineral oil which speeds up aging. Human Heart Nature is 100% natural, so you get only the good. 100% no harmful chemicals, no chemical preservatives, parabens, mineral oil, artificial dyes or other toxic substances. As seen in photo: Shade A (dark violet) for crease, Shade B is for crease, Shade C is for the brow bone. The trio gives Filipina-skin friendly shades of violet for that non-goth smokey. Although it seems to have been created with an evening look in mind, I like using it during the day too. 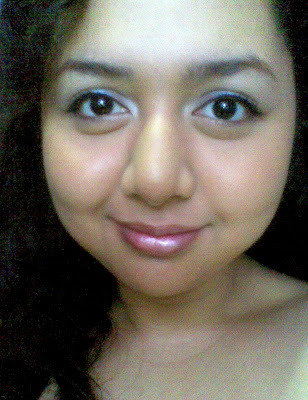 When I don't have time to line my eyes, the dark violet serves me enough. Below is a photo of how I wear the palette during the day. Note, I didn't use a primer for the photo below so yes I'm quite pleased with the color if delivers. Of course it's a given that I love how it's formulated safe. Beyond that, I love that it's easy to apply. I love that the palette can be worn by mestizas and bronzed goddesses. I don't like the sponge that comes with the palette (I threw it and never bothered using it, it's pointless. It doesn't work well, it's not sturdy enough to withstand washing and it's a bit a scratchy). I don't like with careless blending, the Enchanted Evening colors can downgrade from enchantment to battered wife. I limit using Shade B, period. As you might have noticed in my eye photo above, I used Shade C for my lids. I love how it really brightened my inner eye corner. Surprisingly, it captures light effectively. I used Shade C for my outer V and my crease. It's really lovely. I also used Shade C to add a little hint of color along my lower lash line. Would I repurchase, maybe not Enchanted Evening. My sweet innocence won over. Check this out. 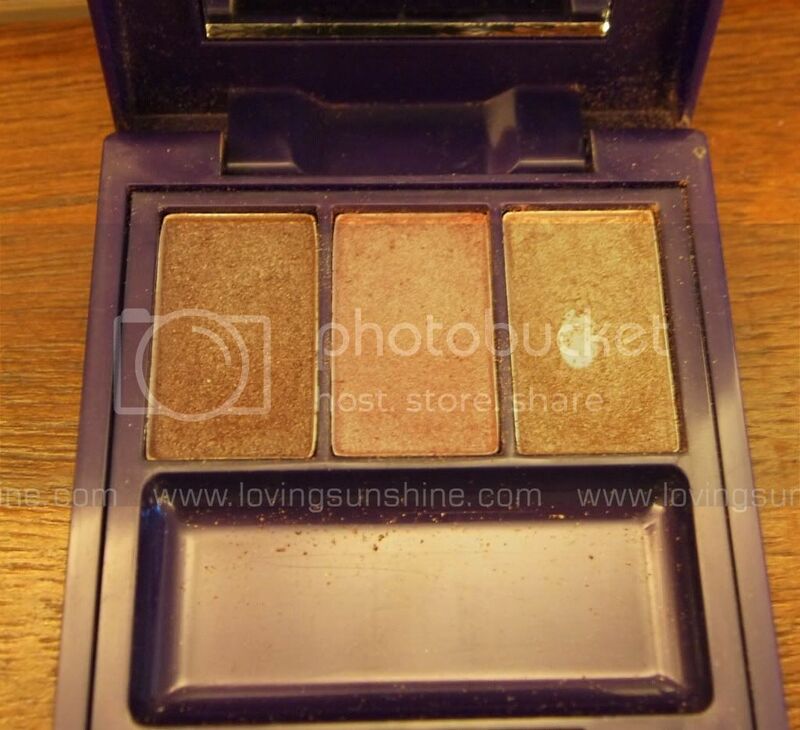 Love Minerals has two eye palettes: Enchanted Evening and Sweet Innocence. To compensate the lack of Blush swatches, I swatched the complete All-Natural Lip Gloss collection by Human Nature Love Minerals. These glosses wowed me because I never thought it'd be possible to create an all natural gloss but HN did it. Amazing. Would I repurchase, not all. Just the Coral Beach. I don't like how the pigments of Island Berry settles at the bottom of the tube after a while of zero-usage and Pink Hibiscus is mood-selective. Coral Beach however is just perfect. I also am not happy with the gloss wand. Hope they replace it. It's so huge and I have to shove it in after-use. Often, it ends up as a mess; so with those taken into account, the worthy for a repurchase is Coral Beach. Another new products? Wow. I only appyly grayish shimmering eyeshadows kahit it seems for evening lang pero it is nice kasi plus the smokey effect of it in my eyes...Happy New Year Ms. Kumi! Loving the lip glosses! :) Especially the Island Berry and Coral Beach. I haven't tried any Human Heart Nature's products yet, but I'll definitely be buying some soon. Anyway, happy new year sis! Pretty! This makeup thing is something that I would want to really learn this year!! First of all, I've really enjoyed reading the introduction of this post, something that should make us think. Anyway I love the lip colors!! Going to follow you right now! very cool! thanks for your comment! I'm following you too! I never heard about the brand but I like produts with natural ingredients.